For the 15th album of her illustrious career, Marcia Ball enlists Steve Berlin (Los Lobos) to handle the production, and one listen proves that was a wise decision. Recorded in Austin and at the legendary Dockside Studio in Maurice, Louisiana, Shine Bright finds Marcia being backed by different bands—each providing a touch of the local flavor of their respective cities. The album features nine originals and three covers (Ernie K-Doe, Ray Charles and Jesse Winchester). 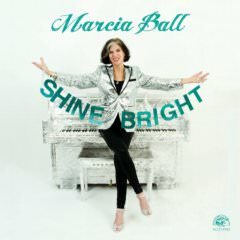 From the opening moments of the funky, groove-laden title track “Shine Bright,” a song that manages to tie together Ken Kesey and Ruth Bader Ginsburg, you know you could only be listening to Marcia Ball. 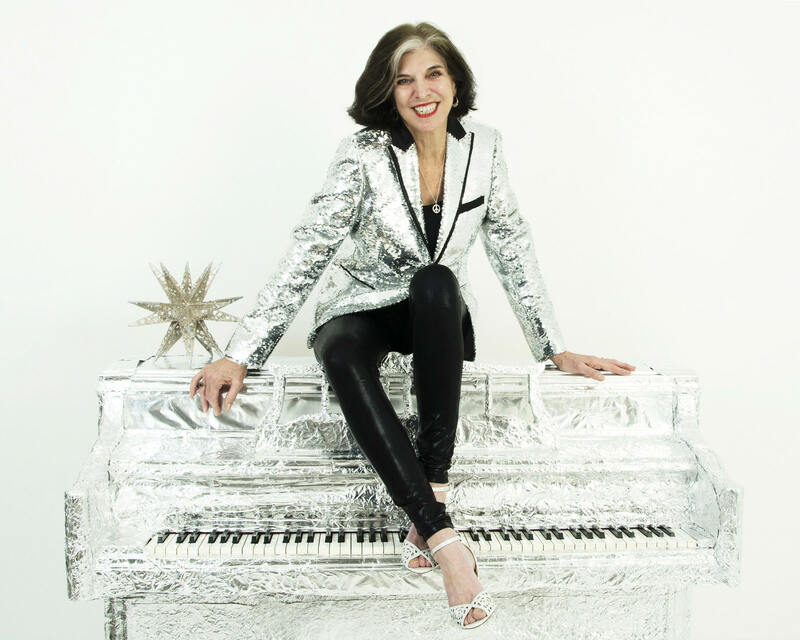 Like a great roux, one that takes time, care and attention to create, Marcia Ball, over the course of 50 years as a professional musician, has developed a style that, while imitated, is uniquely hers. Whether it’s Texas Roadhouse Blues or the boogie-woogie barrelhouse sounds of legendary New Orleans piano players, it’s all stirred up and presented in a soulful and classy, yet down home and funky manner. And while Marcia’s musicianship and delivery are second to none, she has become quite the songwriter, one who is not afraid to tackle the difficult issues that we face today. However, the message is often delivered on top of such wonderfully infectious grooves that even heavy topics provide opportunities to feel good and dance. If you are doubtful then check out “Pots And Pans.” “They Don’t Make ’Em Like That” returns the listener to a simpler time; and while those times are gone, at least we are lucky enough to still have originals like Ball in this world full of built-in obsolescence. The sax work of Steve Berlin (baritone) and Eric Bernhardt (tenor) ebbs and flows with Ball’s piano and takes a wistful lyric and propels it into a feel-good dance party. While Ball has certainly made a career of delivering infectious swampy dance grooves, don’t think for a second that she can’t still deliver soulful ballads and tender love songs. Ball’s road-weary vocal delivery on songs like “What Would I Do Without You” and “World Full Of Love” tends to lend an air of extra authenticity to each. On “I Got To Find Somebody” and “When The Mardi Gras Is Over,” Ball tackles quintessential New Orleans institutions like Ernie K-Doe and Mardi Gras with the confidence and swagger required. Of course, getting help from a backing band that features Roddie Romero (guitar), Eric Adcock (Hammond B-3), Lee Allen Zeno (bass), and Jermaine Prejean (percussion) paired with Berlin and Bernhardt on sax certainly helps to liven up the celebration. That same backing band is in full swing on “Once In A Lifetime Thing,” giving Romero and company a chance to shine as they lay down a swampy groove that is reminiscent of the classic swamp pop sounds of yesteryear. Shine Bright closes out with Ball covering Jesse Winchester’s “Take A Little Louisiana.” This is a match made in heaven; and while Jesse is no longer with us, his spirit is certainly kept alive by performances like this. So take their advice and take a little Louisiana with you… and make sure to take a little Marcia too! « Perfection is not attainable, but “Ma Polaine’s Great Decline – The Outsider” gets close.